Mary is an accomplished aerialist who has studied, apprenticed and performed extensively on Lyra/Hoop, Silks and Pole. Mary founded the school in 2012. Mary spent several years training and performing in Tokyo, Japan and is eager to share what she has learned with people young and old. She sees the artistry, strength and discipline of aerial dance and circus performance skills as great complements to anyone and everyone’s interests and activities. when he fell for our owner Mary. Daine’s discipline stems from a background in the Australian army. Combined with his brute strength, Daine is a powerhouse in the studio. 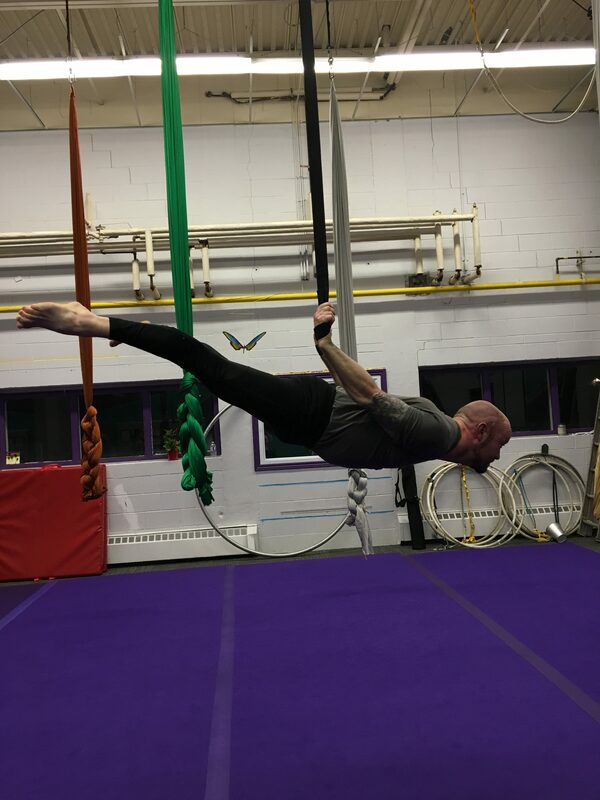 Daine has been training aerial for two years and assisting in classes for the last year. He has completed his certification in aerial strength and aerial silks. Diane skated her way into the studio after spending over 20 years on the ice. Diane’s been coaching figure skating for the last 11 years and has her NCCP coaching certification. Diane has been training the aerial arts at Paradisaea for the last 2 years and assisting in classes for the last year. 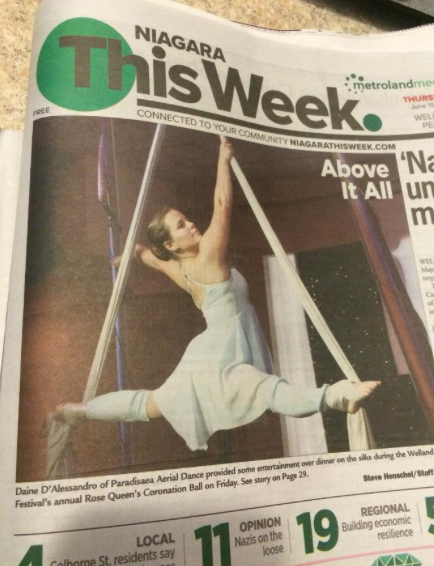 She completed her aerial silks certification with the Nimble Arts. Jenny Wright – Instructor Jenny is a professional actor and has been a member of the Shaw Festival ensemble since 1996. She has an extensive background in dance, Laban, Pilates and yoga. She has been a guest teacher in many primary and secondary schools in the Niagara region and beyond, leading creative movement workshops. Jenny fell in love with aerial hoop 20 years ago and rediscovered flying with Mary Young in 2015. 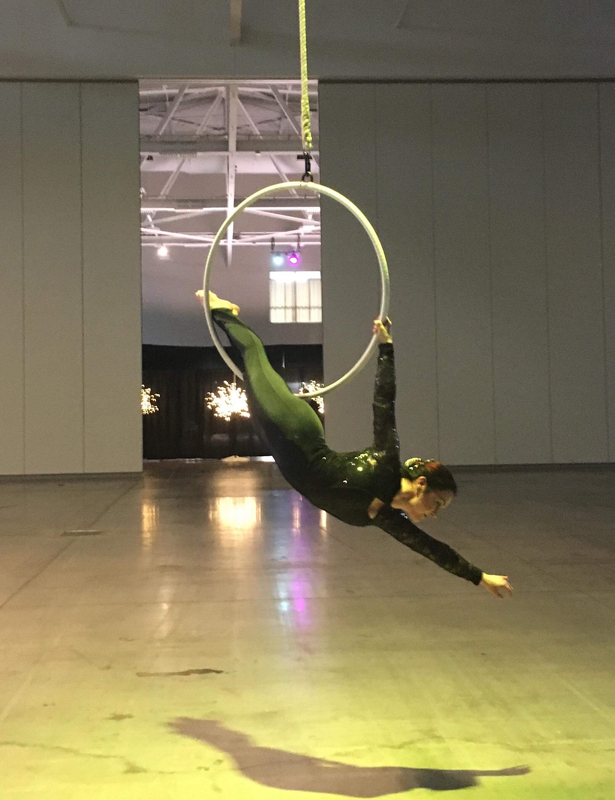 Recently, Jenny completed teacher training for aerial silks/trapeze with Paradiaea Aerial Dance and is super excited to share her passion for aerial hoop and silks!